Success Stories When doing high performance sports you get to a point where every single detail counts in your way to achieve what you want; Win! 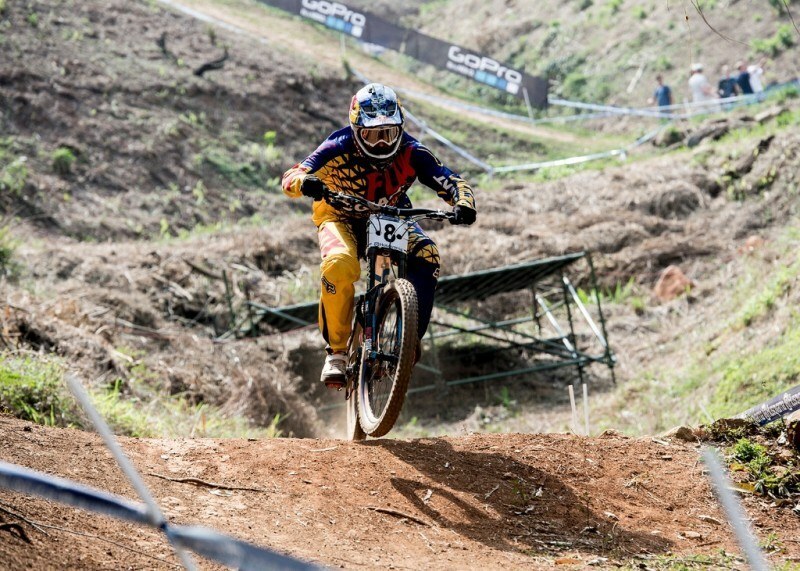 Colombian downhill mountain biker, Marcelo Gutierrez Villegas joins the Firstbeat Team. From Firstbeat the Red Bull athlete found a professional training software, the Firstbeat Sports Individual Recovery Pack to optimize his training. Firstbeat is pleased to expand the cooperation also with Red Bull athletes since already partnering with Red Bull training camps in the US and Europe. Gutierrez is a four-time national champion, 2011 Pan-American champion and a regular on the UCI World Cup scene since 2008. Marcelo has also taken part in events at Crankworx Whister, with second place in both the 2011 and 2012 Garbanzo DH comps. (Redbull 2014) Read more about Marcelo’s sporting achievements and watch the wild ride videos on Red Bull’s site. You are here: Success Stories When doing high performance sports you get to a point where every single detail counts in your way to achieve what you want; Win!